5052-H32 Aluminum Sheet will be added to your quote! 5052 Aluminum: highest strength grade of aluminum of non-heat-treatable alloys; higher fatigue strength, excellent resistance to salt water atmosphere, excellent weldability and workability, and excellent finishing characteristics. Anodic coatings are bright and clear. 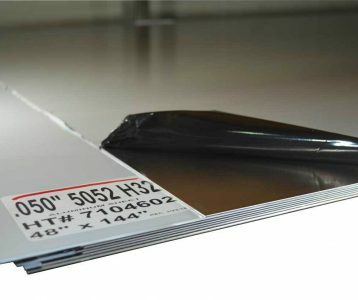 5052-H32 Aluminum Sheet will be added to Cart!